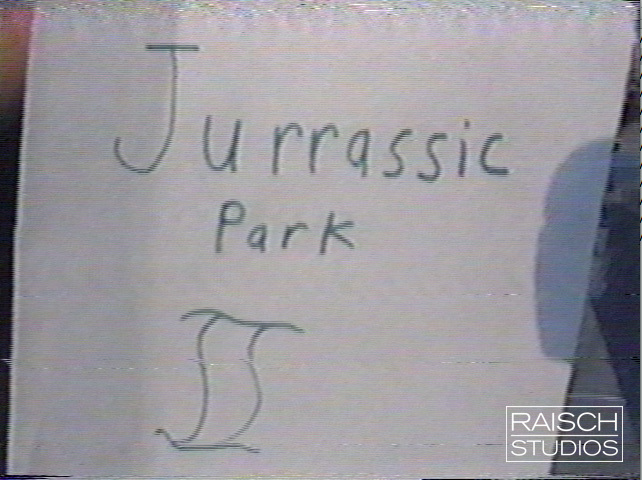 Filmed over 20 years ago, two kids faithfully re-shot Jurassic Park in their backyard and basement. 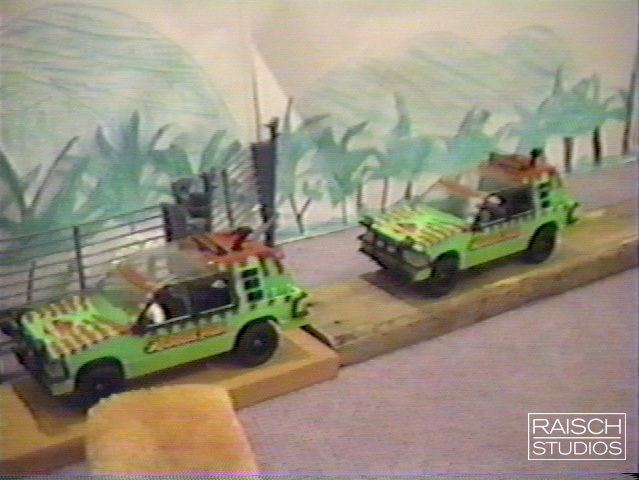 In the summer of 1993 inspired by the release of Jurassic Park, Michael and David set out to recreate the excitement and visuals of the hit film. Over a period 6 months in New Jersey they filmed multiple versions of the film until they were pleased with their final version. 20 years later they recently meet up and reviewed their work. The Retelling of Jurassic Park is a parody piece told of from the point of view of kids in experiencing the cultural phenomenon that was Jurassic Park. it's honest delivery it attempts to capture the excitement and storytelling experience of Jurassic Park. 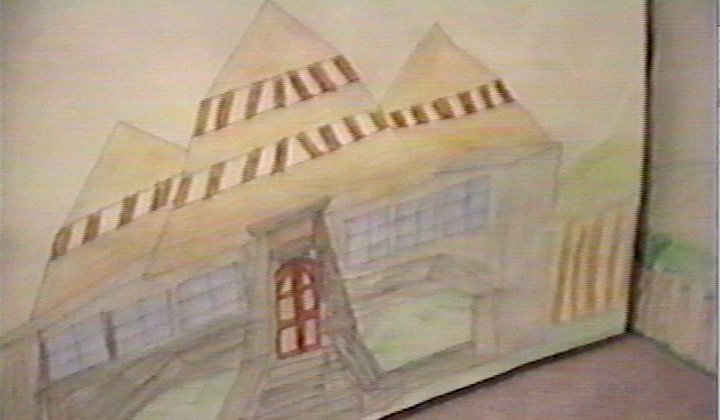 Original Jurassic Park sketch, 6th Grade. © Raisch Studios Archives, 1993. 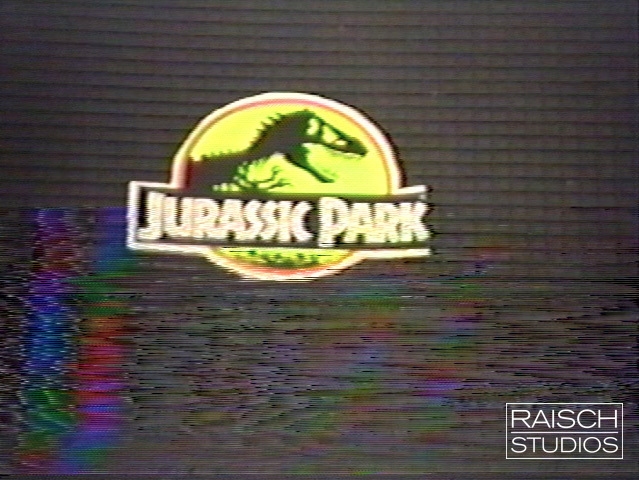 Jurassic Park served to bring filmmaking into the digital era. We spared no expense on our effects. Equipped with the best VHS era technology we re-created the movie magic of Jurassic Park with hand drawn sets, action figures and fishing line. Cast from mostly Kenner Action figures, The '90s Remake of Jurassic Park saw a wide of acting talents. We also had members of the 1980's G.I. Joe forces assist in our production. Zenith VHS Video Camcorder we filmed on. Through out the development of their film. 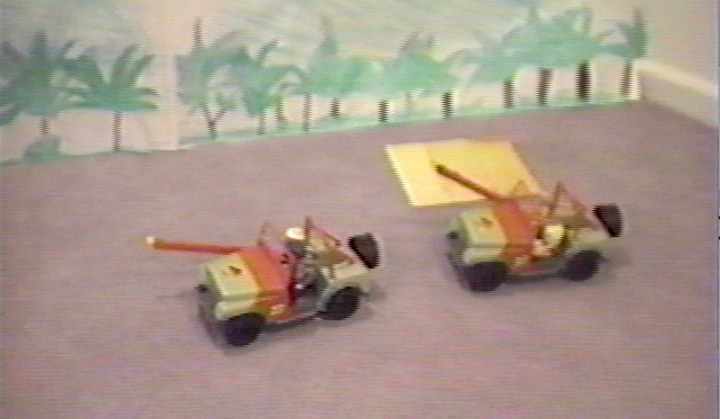 Michael and David utilized the most cutting edge technology offered in the early 90's. 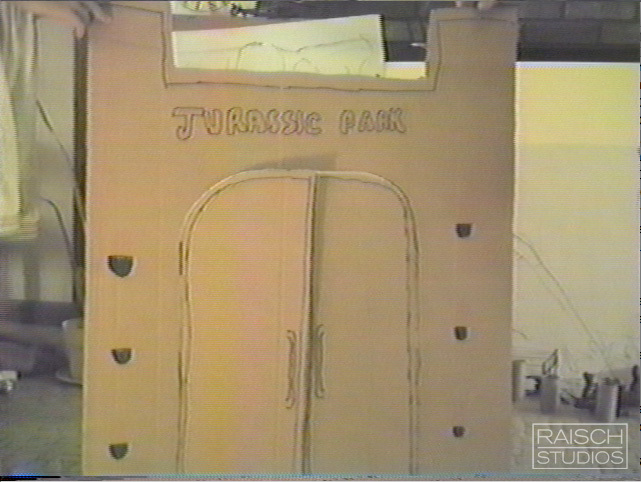 Before the rise of the internet, They faxed their scripts back and forth of their vision for the recreation of Jurassic Park. In the summer of 1993 the first version of Jurassic Park was shot, after review their work they set out to film additional improvements, titled 'Jurassic Park II". 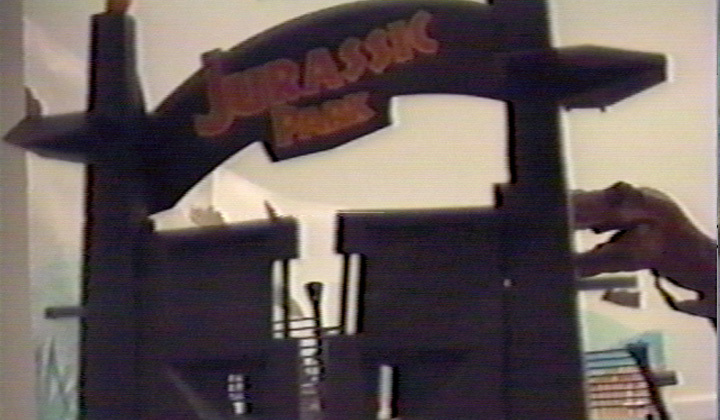 By March of 1994 their vision was realized with the final 'Retelling of Jurassic Park'. Michael and David recently sat down and review their work in 2013. 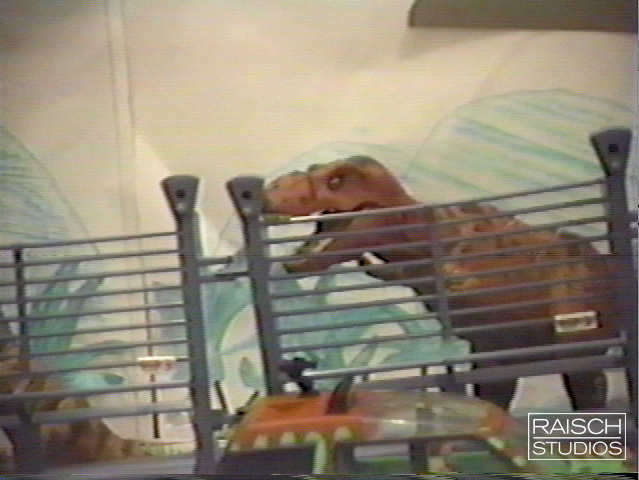 Below is their commentary on how they recreated Jurassic Park over twenty years ago. The Jurassic Cast Podcast Interview and featured press. Michael and David's story featured at the 74:00min mark. Mom said we couldn't cuss, so hold onto your bums. In 2013 Michael and David sat down to review their original film twenty years later. View their original reactions and full commentary below.